Ahmedabad, January 10: In order to reduce the bird injuries during the Uttarayan (Makar Sankranti) festival, the state government has appealed to the citizens to cooperate to save birds from 'manja' injuries. The government-run Karuna Abhiyan drive, which will be on from today to January 20, calls on people to rescue injured birds; control rooms will be put up in different cities and towns to resuscitate rescued birds. As many as 10,571 birds were injured by glass strings used to fly kites during Uttarayan festival last year. 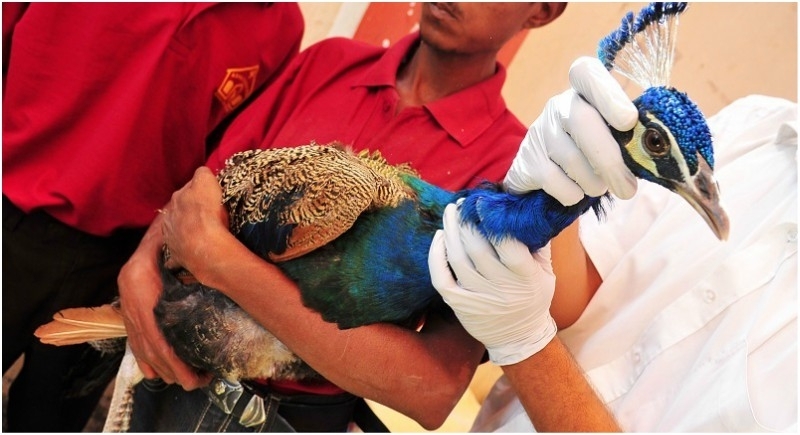 Around 9,752 out of these birds were discharged after treatment at the rescue centres started by the state government and NGOs jointly in 2018. About 76 per cent cases were registered in the four major cities of the state, namely, Ahmedabad, Surat, Vadodara, and Rajkot. People can call the control room if they find any bird injured by or trapped in kite strings. The details of the control rooms are available on the website of the forest and environment department of the state government; it is: https://forests.gujarat.gov.in/. The minister of state for forest, Raman Patkar, said on Wednesday. Patkar said, "We have issued an advisory to all citizens to not to fly kites before 6 in the morning and after 6 in the evening as bird movement is maximum during this time. We understand that the festival is important for our citizens and everyone has the right to enjoy it, but showing compassion for birds and animals is also part of our culture." Additional Chief Secretary of Forest and Environment Ddepartment, Rajiv Kumar Gupta, said, "The volunteers of the helpline and rescue centres will work from 7 am to 6 pm during these days. Our district-level officials will also allow NGOs to open rescue centers so that they can also help us in the drive to save the lives of birds."